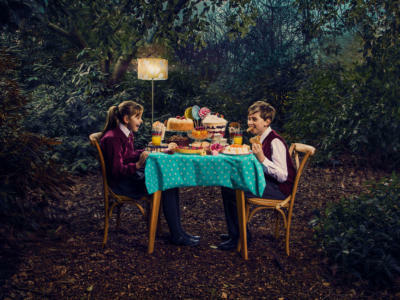 Following the success of The Turn of the Screw last season, we are very pleased to be working in collaboration with Regent’s Park Open Air Theatre once again, to present Hansel and Gretel. Experience the Grimm Brothers’ fairytale anew in this operatic retelling by Engelbert Humperdinck. Two casts will sing at alternate performances. Rachel Kelly and Heather Lowe share the role of Hansel, both making their ENO debuts, with Susanna Hurrell (First Lady in The Magic Flute) and Elizabeth Karani sharing the role of Gretel. Mother will be sung by Rosie Aldridge (Third Lady in The Magic Flute and Aksinya in Lady Macbeth of Mtsensk) and Gweneth Ann Rand who recently played Serena in Porgy and Bess and the title role in Aida at ENO. Former ENO Harewood Artist Duncan Rock, who has sung roles for ENO including Papageno in The Magic Flute, Marcello in La bohème and Donald in Billy Budd, shares the role of Father with Ben McAteer (Earl of Mountararat in Iolanthe). Alasdair Elliott and John Findon share the role of the Witch. Gillian Keith takes the role of the Sandman at all performances, with He Wu as the Dew Fairy. With seven lead performers at each performance, an ensemble of 30, and 19 members of the ENO Orchestra conducted by rising star Ben Glassberg, this will be the Open Air Theatre’s largest Company. Joining the already announced director Timothy Sheader, design is by Olivier Award-winner Peter McKintosh (for Open Air Theatre: On The Town, Seven Brides for Seven Brothers, Crazy for You), movement direction by Lizzi Gee (for ENO: The Merry Widow and Iolanthe; for Open Air Theatre: Little Shop of Horrors), lighting design by Oliver Fenwick (To Kill a Mockingbird, Hobson’s Choice, The Beggar’s Opera) and sound design by Nick Lidster for Autograph, who also designed last season’s The Turn of the Screw. With original libretto by Adelheid Wette after the fairytale Hänsel und Gretel by Jacob Ludwig and Wilhelm Carl Grimm, English translation is by David Pountney. Orchestral reduction is by Derek J Clark.